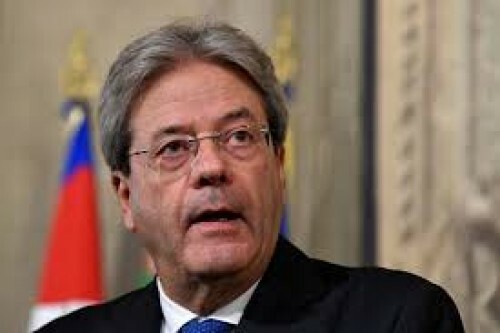 Milan : Italian Premier Paolo Gentiloni on Wednesday slammed US-owned electrical appliances manufacture Embraco's plan to switch production to Slovakia and fire almost 500 workers at its plant in northwest Italy. "We cannot allow forms of fiscal and social dumping within the European Union. "We are at a delicate juncture for Italian industry and we must fight tooth and nail to prevent such risks from materialising," he said in this northern Italian city where he was to open a new digital innovation centre and to receive a prize from research institute ISPI for enhancing Italy's image abroad. "For the government, the Embraco case is a prime example that concerns relations between EU states. If we want to invest in human capital, we cannot allow forms of fiscal and social dumping within the EU," he underlined. Italy's Industry Minister Carlo Calenda has this week taken up the Embraco case with the European Commission see if Slovakia has breached European state aid rules and if Rome can be allowed to intervene without breaching those same rules. Italy's Finance Minister Pier Carlo Padoan on Wednesday said had "great faith" in European Competition Commissioner Margrethe Vestager's assessment of Embraco's move to close its factory near Turin with the loss of 497 jobs and relocate production to its factory in Slovakia. After a meeting with Calenda in Brussels, Vestager on Wednesday told reporters that EU structural funds could not be used for delocalisation within the bloc. "These funds should be used to create new jobs, not to move jobs from one (EU) state to another," she said. Embraco, a subsidiary of US giant Whirlpool makes refrigerators and washing machines at its factory in Riva di Chieri, southeast of Turin. The company has rejected requests by Italy's government and trade unions to reinstate the sacked workers at Riva di Chieri.